With diesel dipping under the price of petrol for the first time in years, you can make significant savings per mile by filling up from the black pump, especially if your car has a high claimed fuel economy like those in our list below. From hatchbacks to people carriers, we’ve covered all bases. 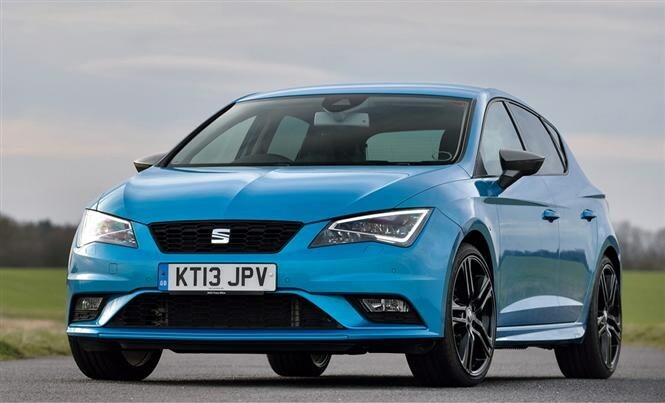 The SEAT Leon has long provided a stylish alternative to the Volkswagen Golf that it is based on, but thanks to a super-efficient engine, it can now offer seriously low running costs too. With a 1.6-litre diesel unit under the bonnet you can expect free road tax thanks to CO2 emissions of just 89g/km, plus a reported 83mpg if you drive very carefully. Although it’s unlikely you will achieve this figure, it is still an impressively high target. Combined with a 50-litre tank this gives the Leon a maximum range of more than 900 miles. There’s no trade off for pace either with 108bhp propelling the car from 0-60mph in 10.2 seconds. It’s no rocket ship but is far from slow, and offers engaging yet secure-feeling handling too. Sitting in the middle of the three trims on offer, the SE spec gains hill hold control, 16-inch alloys, front fog lights, cruise control, leather steering wheel and gearknob, front armrest, and driver’s seat lumbar adjustment. The VW Polo offers a surprising amount of interior space for a car with a small footprint, and is refined and quiet too. There’s space inside for four adults, although five is a bit of a squeeze for the middle seat passenger. When equipped with a frugal 1.2-litre diesel engine, you can expect a claimed 80mpg and CO2 emissions as low as 91g/km. There’s no need to pay a single penny in VED tax with this Polo. The price for this tiny thirst is speed, and with 73bhp available you will be waiting for 0-60mph to come in a leisurely 12 seconds. Best to drive it sensibly and make the most of that frugality. 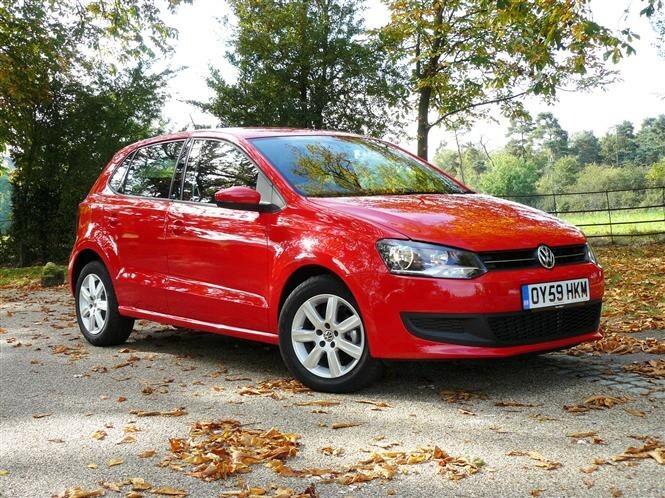 The interior of the car is typically VW, offering a well-built and conservative style, with the Bluemotion spec offering manual air conditioning, cruise control, a leather steering wheel and 15-inch alloys. These cars generally hold their value well thanks to their low running costs so search hard for a bargain and be prepared to haggle. Skoda has equipped its medium-sized lugger with a 1.6-litre diesel capable of 80mpg. It’s also a low emission unit with 90g/km of CO2, so you won’t have to pay any VED either. Despite this it produces 108bhp and will launch the Octavia from 0-60mph in just 10.4 seconds. All of this in a car that is able to carry 610 litres of luggage with all the seats up, and an impressive 1,740 litres with the back seats folded. 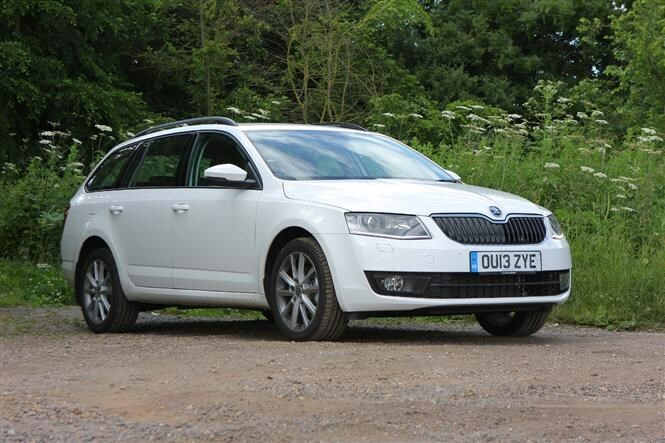 A wider boot opening and lower loading lip than previous cars also helps to make this version of the Skoda Octavia Estate the most practical yet. All cars come with a touchscreen multimedia system, alloy wheels, climate control, Bluetooth, and digital radio. 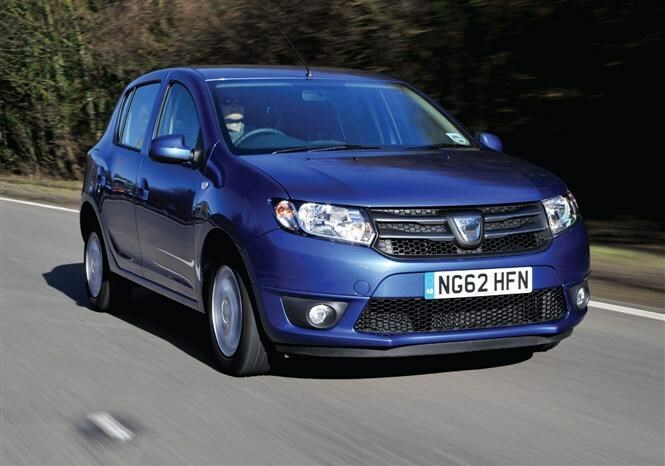 The Dacia Sandero offers scarcely believable value for money and none more so than one equipped with a1.5-litre diesel engine. Thanks to 88bhp on tap it can accelerate from 0-60mph in 11.4 seconds, but with a tame right foot Dacia promises fuel economy of 80mpg. Like many other cars on this list, that efficiency also means free road tax, with CO2 emissions of 90g/km. Top spec Laureate trim gets you air conditioning, cruise control and electric rear windows. Keep an eye out for cars equipped with the optional 7-inch touchscreen incorporating sat-nav and entertainment system, which costs £250 on a new car. 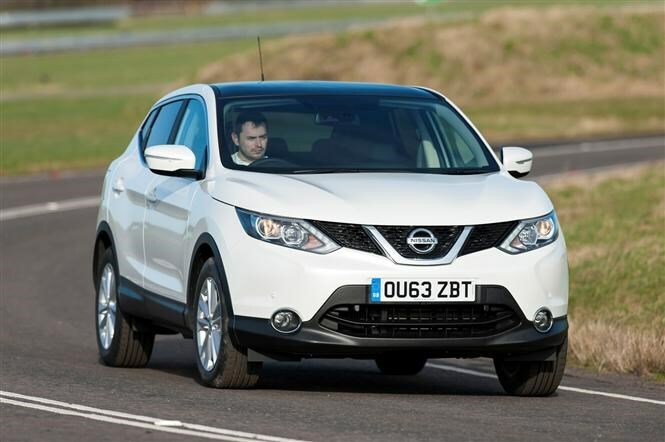 One of the originators of the crossover genre and a modern family car staple, the Nissan Qashqai can also offer low running costs when equipped with a 1.5-litre diesel engine. This unit promises 74mpg and free road tax thanks to low CO2 emissions of 99g/km. It produces 108bhp, which is enough to tick off 0-60mph in 11.5 seconds. Pick one in middle of the road Acenta trim and you’ll get 17-inch alloys, dual-zone automatic climate control, and automatic headlamps and wipers. 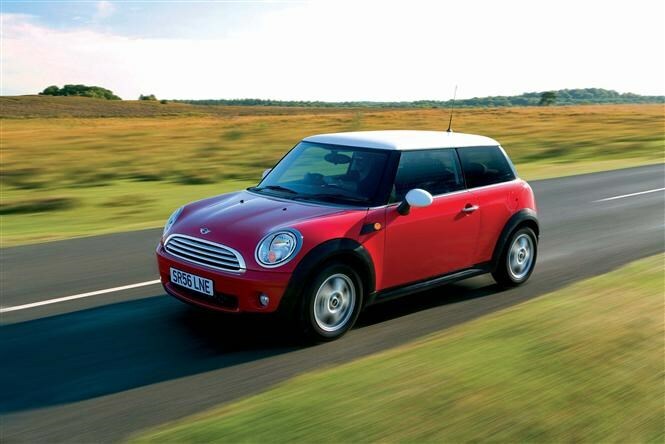 Although the Mini holds a premium, you can get hold of some bargains from the last generation including a diesel version that promised very decent economy. The 1.6-diesel engine in the standard car claims to be good for 74mpg and produces 99g/km of CO2, low enough to qualify for free road tax. As it only has to power a small car you also get a reasonably perky 11 second 0-60mph time from the 88bhp on tap. Enough for zipping around city streets and also keeping up with faster traffic on open roads. Where the Mini unsurprisingly starts to feel like a compromise is in the back where the two rear seats are cramped, and the boot which is not all that big either. You also don’t get a lot of standard kit but customisation was the order of the day when this model of Mini was new so hunt one out with some options like air conditioning and alloy wheels if you can. 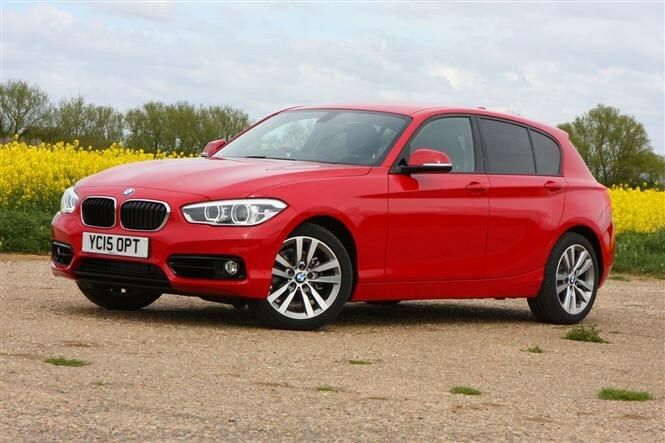 BMW will gladly tell you how the 1 Series is the only rear-wheel drive car in its class, and as such it offers the best balance and handling of its peers. Whether or not you’re bothered about which wheels are powered, there’s no denying the BMW’s appeal thanks to better styling outside and a classy cabin inside. A sprinkling of economy-focussed tech under the EfficientDynamics umbrella also means you can expect 74mpg and 99g/km of CO2, so road tax is free. There’s 114bhp so 0-60mph comes just two tenths over ten seconds, and that rear wheel drive set up means the front tyres have plenty of grip for cornering. 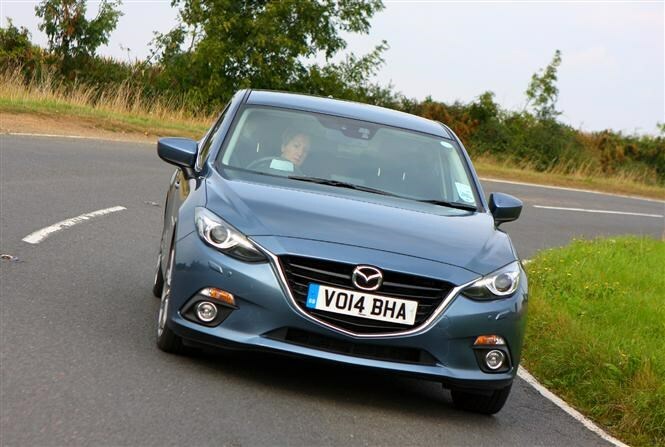 The Mazda’s engine is more than half a litre larger than any other on this list. Weight saving measures mean this hatchback offers 68mpg, plus 147bhp and 380Nm of torque, so 0-60mph tumbles in just 7.8 seconds. CO2 emissions higher than 100g/km means you won’t get free road tax, but it’s only 107g/km so you’ll pay just £20 a year. Sport Nav (leather) trim means you get everything you could want including 18-inch alloys, sat nav, and adaptive headlamps. 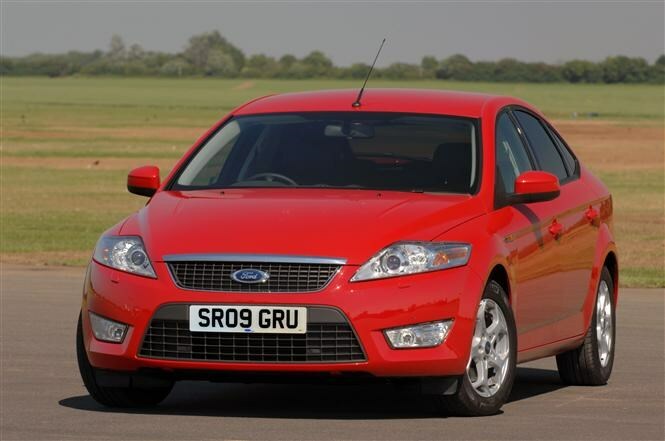 The Ford Mondeo has been a family car mainstay for years thanks to its mix of value for money and driveability. An efficient start stop diesel engine which promises 67mpg only sweetens the deal, even if CO2 emissions of 109g/km means you’ll pay £20 a year in tax. It makes 113bhp so 0-60mph comes in 11.5 seconds, not fast but quick enough for a family car. The boot is 540 litres, which is large but not as a big as the Skoda Octavia’s. Still, it’s easy to access thanks to a hatchback lid. The only vehicle on our list to offer seating for seven and also curiously the only automatic, the Peugeot 5008 is a fuel economy hero with 65mpg offered. Its 1.6-litre diesel engine produces 126g/km of CO2 which means annual VED of £110 though, but that is more than reasonable for a big car. There is 115bhp available so you will accelerate from 0-60mph in 12.2 seconds. We’d recommend taking it easy though and ensuring you get somewhere near that promised fuel economy. Big space on the inside means seven will fi t and if you tumble the second and third row of seats down there is a 1,754 litre load space to take advantage of too. Click here to read our full review for the Peugeot 5008. 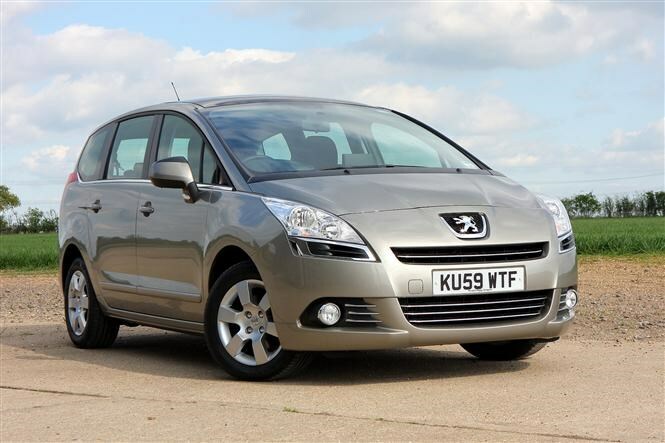 For the latest Peugeot 5008 cars for sale click here. Some cars promise more than 80mpg which sounds absolutely superb but in reality will be hard to replicate. Use the manufacturer’s claimed fuel economy to compare cars but don’t be too critical of your driving style if you fail to see those big numbers on your trip computer. Some compromises have to be made to make a car super frugal so don’t be surprised if you sit in an economy-special and find it does away with heavy or luxurious items like electric seat motors or a full-sized spare wheel. It’s also worth remembering that optional extras like large alloy wheels can affect a car’s fuel economy and CO2 emissions so if these have been fitted you might not get the full benefit of that efficient engine. Frugal diesels can cost more in the first place so it makes more sense if you cover a lot of miles. When you are buying second hand, consider whether the previous owner(s) have subjected the car to a lot of long distance driving. While longer trips are kinder on the engine than frequent short ones which don’t allow the engine to warm up, you may find that expensive and perishable components like the clutch or gearbox are on their way out. While diesel is cheap at the moment there is no saying what it’ll cost next month. Bear this in mind when picking your next car.